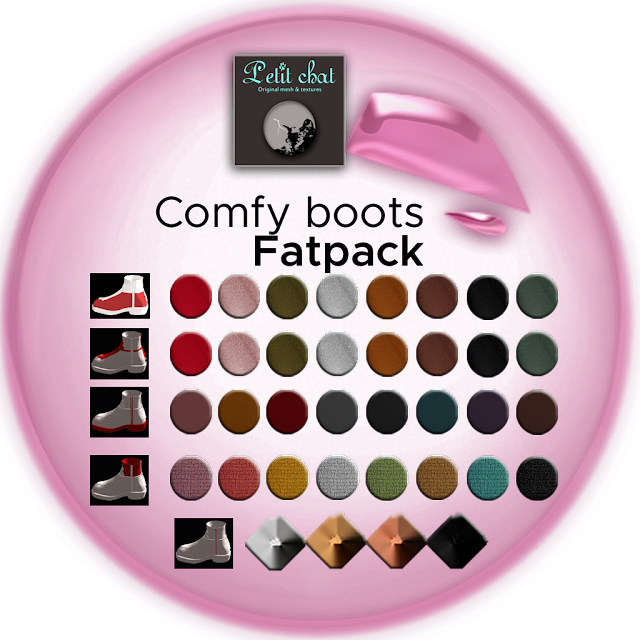 The Comfy Boot from Petit Chat is featured at The Chapter Four event and it is like it said, a very comfortable boots which comes with a lot of color customization as shown above. Kitty will start from customization and this one one that is made of mainly red with other colors. Even the short socks can be changed. If you are on a good viewer with great graphics, you would be able to see the detail texture on this boot as above. If flashy red is not your color, you can try this black shoe with yellow shoe from Kitty and it has a purple base! Kitty pretty love this color combination, do you?